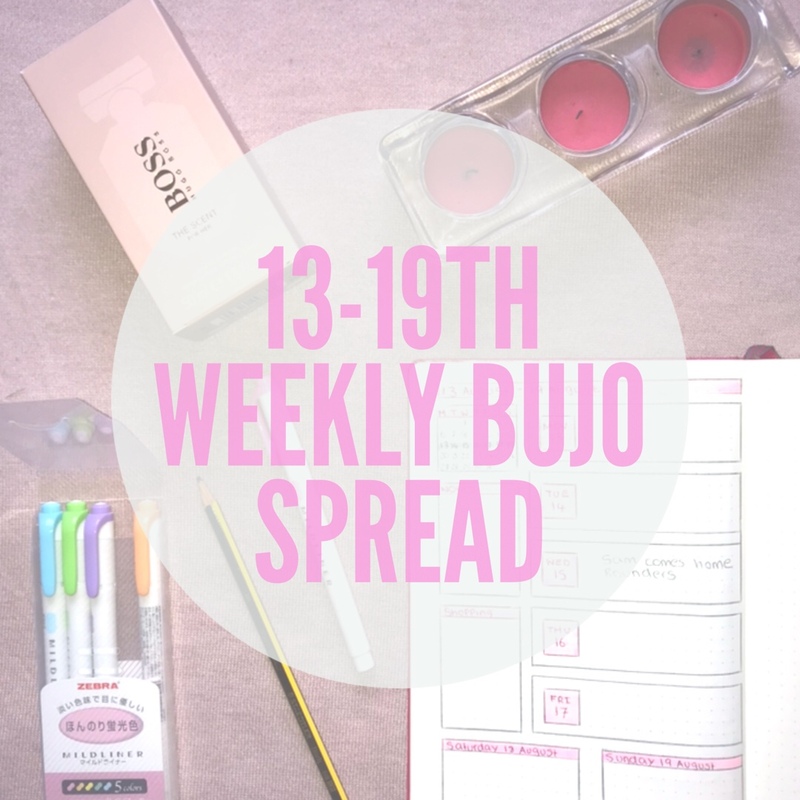 So this is my first Bullet Journal post here on Liv’s Little Blog. I am very excited to show off my spread this week and hope you are inspired. Here is how i set it out at first. Starting out with a pencil is a great tip as if you mess up or want to change the design you can easily do so without making a mess of the page. To start off i made a banner along the top only 1 square deep. I then created 5 rectangular boxes each 5 squares deep and 18 squares wide on the right hand side of the page, leaving a blank line between each one. On the left side i made the top box 6 squares deep and 7 squares wide, i then sectioned the top line off. Leaving a blank line i made the next box 10 squares deep and again 7 squares wide, i also sectioned off the top line of this box too. I then made the last box on the left 11 squares deep to match up to the boxes on the right, this was also 7 squares wide. Finally i made 2 boxes along the bottom, ensuring i left a blank line again. Each box is 6 squares deep and 12 squares wide with 2 squares as a gap in the middle. Again i sectioned off the top line of each box. that i need to buy. To finish off i wrote the day and date in full on the sectioned off line of the bottom boxes. To make the page look much brighter and colourful i highlighted each box where the day and date is including the notes and shopping banner. As you can see in the picture, here is my finished weekly spread. I found inspiration for this spread on Pinterest however i cant remember the account or i would link it down bellow. twitter @LivsLittleBlog and i’ll be sure to check them out. I love the way bullet journals look, I really need to buy one as I think it would keep me organised and I’d be able to plan things better! It has really kept me organised and is great for making sure you keep on top of everything you have to do ! I love this! I definitely need to get more organized. I have so many pieces moving at the same time. Thanks!